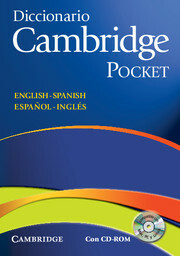 The best dictionary for Spanish speakers learning English! With 61,000 words, phrases and examples and over 70,000 translations, it includes excellent coverage of British and American English, as well as Latin American Spanish and Peninsular Spanish. 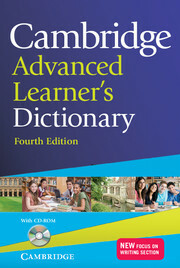 Common mistake notes highlight typical errors made by Hispanic learners - based on the Cambridge Learner Corpus, real students errors from Cambridge exam papers. Grammar boxes specifically aimed at Spanish speakers give extra help with the most difficult areas of English grammar. A unique conversation guide helps students with their spoken lanuguage. Phonetic transcription and pronunciation notes for English entries give extra pronunciation support Illustrations help users understand and memorise new vocabulary.